With some heavenly burgers to devour, this is for each one of you who are absolutely addicted to burgers like we are. Their juicy patties, soft buns, and colourful presenation is an absolute delight for the eyes and for the palate. You must try their Tenderloin Burger, Cheese Sandwich, and their Beetwroor Burger. How many if you cannot cross a Fat Lulu outlet withiut grabbing a bite? We know we for sure cannot, With mouth-watering and lip-smacking hot woodfire pizzas, Fat Lulu’s is definitely our favoutire pizza spot at SDA. Their cute and cosy restaurant also doubles up as a romantic joint with Bae! Now Pizza and Bae make for the perfect combination! Ain’t it? Craving some good pan-Asian food? Then head to Chi Kitchen And Bar in SDA. The restaurant has a delectable variety of options starting from ramen noodle soups to dim sums and a plethora of seafood options. They also have a well-stocked bar if you want to grab a glass of wine with your food. Try their delicious Chilli Prawns, Chicken Satay, and Dumplings. Cheap beer and Biryani anyone? I doubt any of you will be able to say no! With prices so cheap and food so yummy, Beeryani is a hot spot for everyone who visits SDA especially students and people catching up after work. 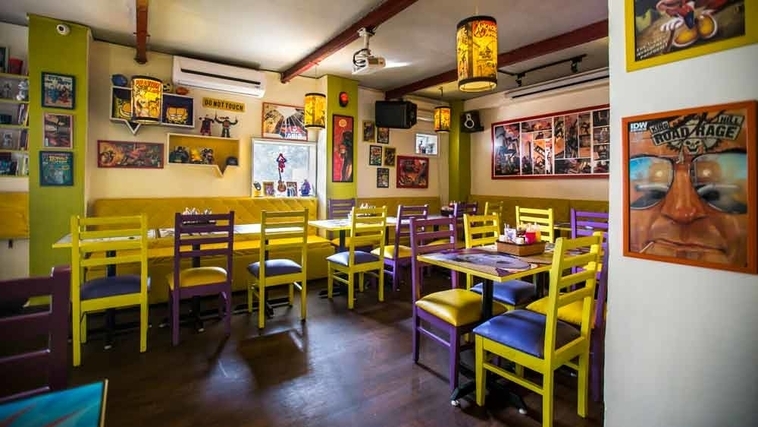 Do not forget to binge on their Dum Gosht Biryani, their selection of Tikkas, and Bakr Burra with your pint of beer. If you are on the go and want to grand a quick bite, then Burger Singh is here to save you. They have a takeaway counter here where you can quickly grab one of their super delicious fusion burgers on the run. If you are spoilt for choices, try their Malabar Express Chicken, Amritsari Makhani Chicken. Are you a die-hard Shawarman fan? Then this is your lucky day. With a range of delectable and flavoursome shawarmas, Spice Angan is all things fiery and tasty! And ask anybody in the city, it is one of the best Shawarma outlets in the city. So the next time you are craving for a Shawarma, get your gang here and devour on these delicious treats. Even though it’s just a takeaway window, you’ll spot many people roaming around it, biting on their hot, piping Shawarmas! Not in a mood for food or alcohol, but something light? Head to these places. A tiny but cute cafe tucked in a corner of SDA, Coffee Haat is a must-visit for all the coffee lovers if they love experimenting with new flavours. They have an exquisite variety of jaggery coffee and delicious homemade snacks like Upma, Samosa, Maggi etc. that’s perfect to go with your chai or coffee. 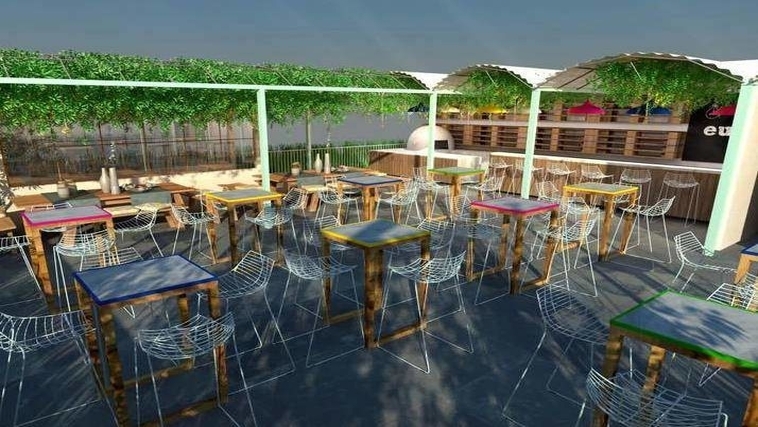 Checkout our furniture for @coffeehaat & Yes guys visit this pretty place, you will surely love the coffee ? #Makehomehappy Projects. Looking for that perfect stunning yet minimalist cafe where you can work while you can also sip on a cup of steaming coffee? Then The Brew Room is your answer. With beautiful decor and excellent choices for food along with a French vibe, this cafe is always has a serene environment where you can work at peace. Combined with the perfect ambient outdoor seating where you can catch up with your BFFs or meet someone for business discussions, Costa Coffee is an evergreen favourite at SDA. Their selection of Iced coffees paired with their chocolate muffins and croissants is what we crave for every day. Winters and warm Waffles gives us the feels, doesn’t it? Head to WAFL in SDA and melt in the gooey deliciousness of their world-famous waffles. They have a tiny seating area in case you are planning to sit in and eat here. Don;t miss out on their Nutella Waffles and their Classic Maple Syrup waffles. Waffle so crispy and full of winter spices, you’d just want to hog and hibernate. . P.S. Did you know WAFL winter menu features waffles like Popscotch, winter spice and many many more exotic flavours. . . Head to your nearest WAFL outlet. 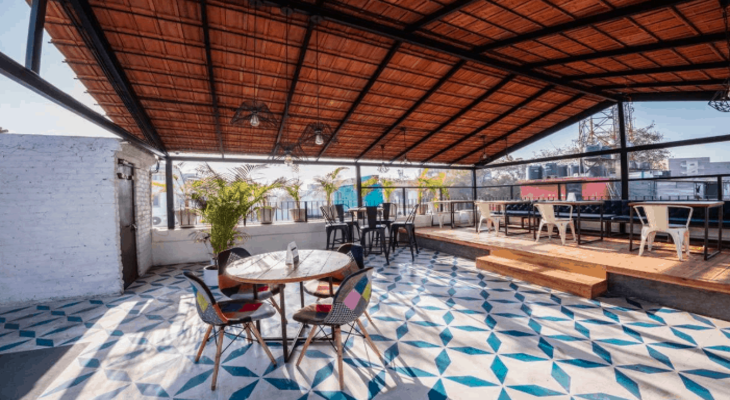 A quaint and cosy, yet boho and cray place to grab a drink with your friends, #nofilter is a super popular bar in the area. You will always find a great crowd with great vibes here and music that you will not be able to stop grooving to. Their selection of cocktails is also great and a must try! With a quirky theme and interiors, a beautiful rooftop setting decorated with fairy lights and live music, Typsy Crow has been trending since it opened in SDA. You have to try out their mind-blowing LIITs and Margherita Pizza. The very name, Scooter on the wall, sounds intrguing, doesn’t it? The place is filled with totally insta-worthy interiors and cosy corners to just chill and read a book, this place is the definition of what you could do on an off day. With cutesy swing set and interiors, it is also the perfect date place. So tag your Bae along and get going already. Don;t forget to try out their Chicken Tikka Pizza and Scooter Shake! Want to see all your favourite comic characters under one roof? Then head to Wat a comic show in SDA that has murals and life-sized cartoon caricatures of all our beloved comic characters. Their selction on beers and wones are also reasonably priced and is perfect for those rainy days. So head here with your squad right away. And in case you are throwing a house party and looking for a theka (wine shop) to buy your liquor, there is a huge store here that sells alcohol almost at the MRP rates and has a huge selection of alcohol! Choose your poison and get ready for a rocking house party! Now that we have you covered, do not forget to comment and tell us which place was your favourite!